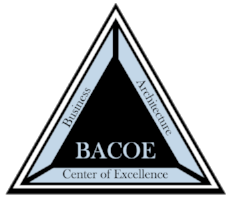 BACOE offers management-level briefings about Business Architecture patterns, Business Architecture as a strategy, Business Architecture methodology and how it all can affect business capability. Our briefings are designed to be comprehensive and can span four hours or longer, depending on your needs. These sessions provide a management understanding of key issues from a business and/or technology perspective, and explain the benefits of potential opportunities of Business Architecture as strategy for your organization. At your request, your session can be tailored to address specific areas of management interest, including Federal Business Architecture, Business Process Mapping, Business Process Improvement and more.